Add some action to a working Tinplate layout. This all new mechanically operating standard gauge crane lets you raise and lower the hook, raise and lower the boom or turn the cab via easy-to-turn knobs located behind the cab. 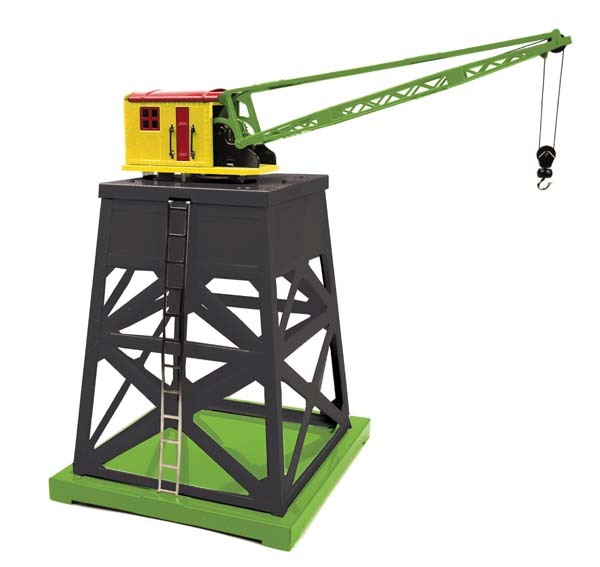 Mounted atop a sturdy tower and metal base which can be screwed directly down to the layout, this is the first full size standard gauge crane tower ever produced under the Lionel banner. Unit Measures:13 1/2" x 12 3/8" x 19 1/2"